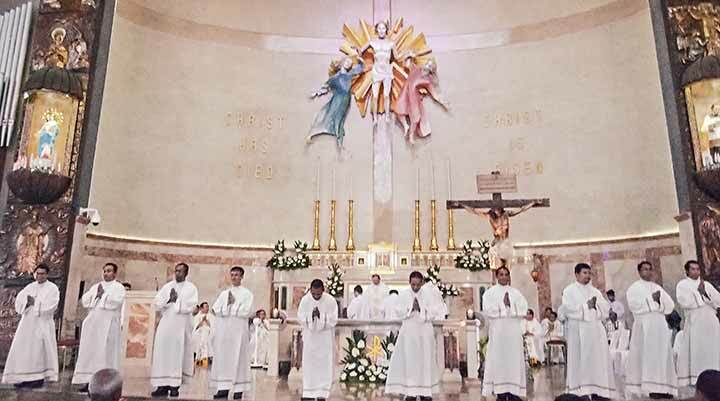 Parañaque City, the Philippines, 23 June 2018 -- The Most Reverend Bishop Jesse Mercado DD of the Diocese of Parañaque ordained ten Salesians to the order of deacons last 23 June 2018 in the National Shrine of Mary Help of Christians Parish. It was a opportune time for the solemn rite. The Church celebrates the memorial of Don Bosco's great spiritual director, benefactor and friend—Saint Joseph Cafasso, and it was the day before the Solemnity of the Nativity of Saint John the Baptist. In his homily, Bishop Jesse shared the beauty and the challenge of the diaconate. He emphasize the need for a deeper relationship with Jesus and reminded them that it is He who called them to be his friends. About 100 priests concelebrated. Among them were Fr. 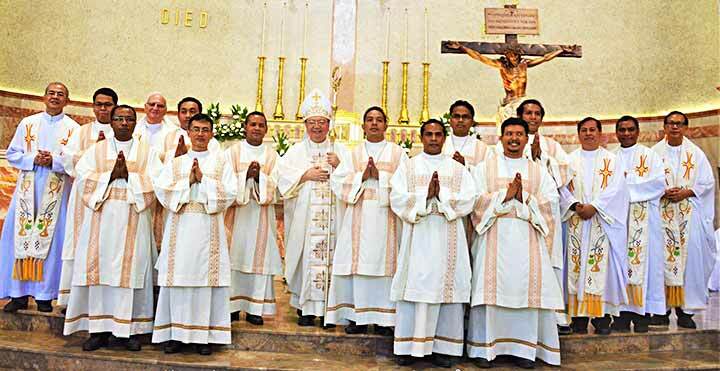 Apolinario Neto SDB (ITM Provincial Superior), Fr. John Bosco Thepharat Pitisant SDB (THA Provincial Superior), Fr. Godofredo Atienza SDB (FIS Provincial Superior, and Fr. 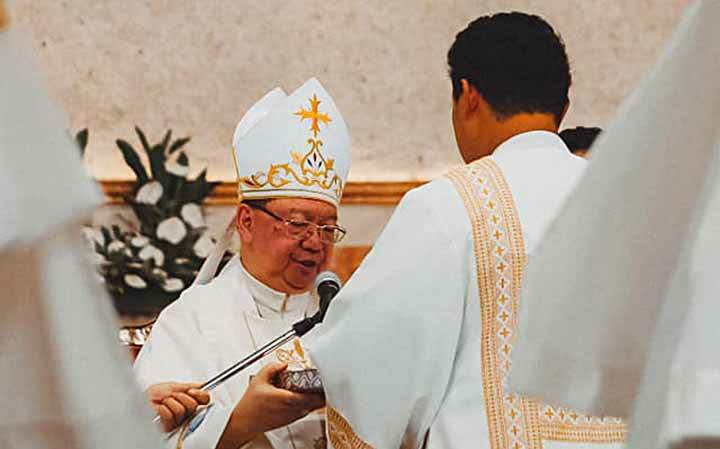 Anthony Paul Bicomong SDB (FIN Provincial Superior). 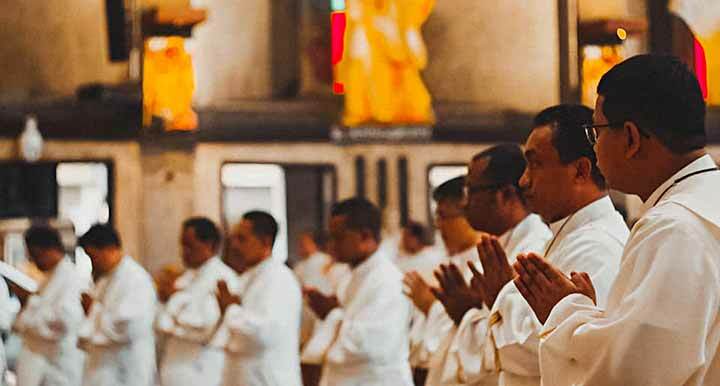 Together with the families of the ordained, 800 witnessed the solemn rite. 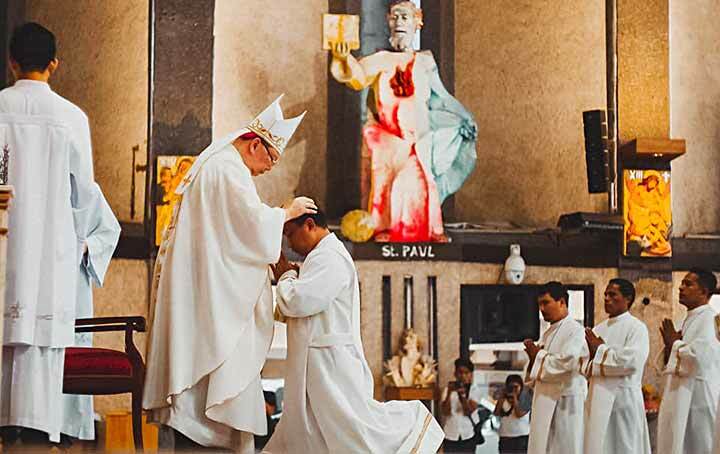 They are friends, classmates, benefactors, members of the Salesian Family, religious nuns and brothers, and most especially the young people from the various settings the newly-ordained were assigned. 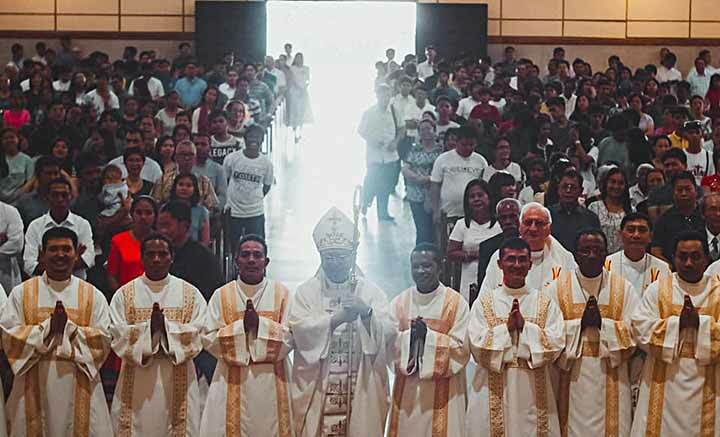 Their message of thanks was prefaced with a moment of silence for the members of the clergy—of which they are now part—who fell victims to violence and persecution in recent times, in the Philippines and around the world. Among the many words of gratitude and love, they asked for prayers as they continue their preparation towards priesthood.